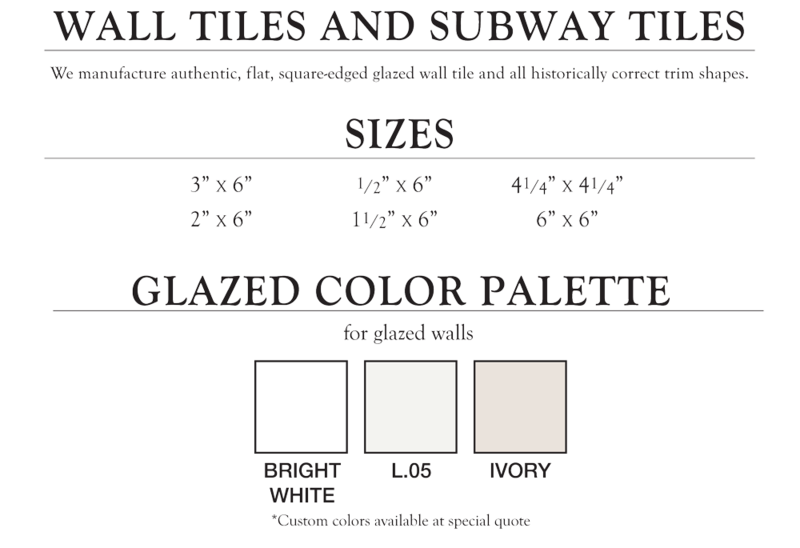 *Custom color shades will vary in color. This is a natural characteristc of ceramic tile. The tiles should be blended during installation. **TURNAROUND TIME - Every job is custom, and turn around time depends on the schedule in the plant as well as the size of your project. Typical turn-around time is 12 - 16 weeks from deposit. Lead times are estimated. Unforeseen delays do sometimes occur and can cause project delays. Please try to give yourself as much advance time as possible when placing orders to minimize the potential for delays in getting your materials.